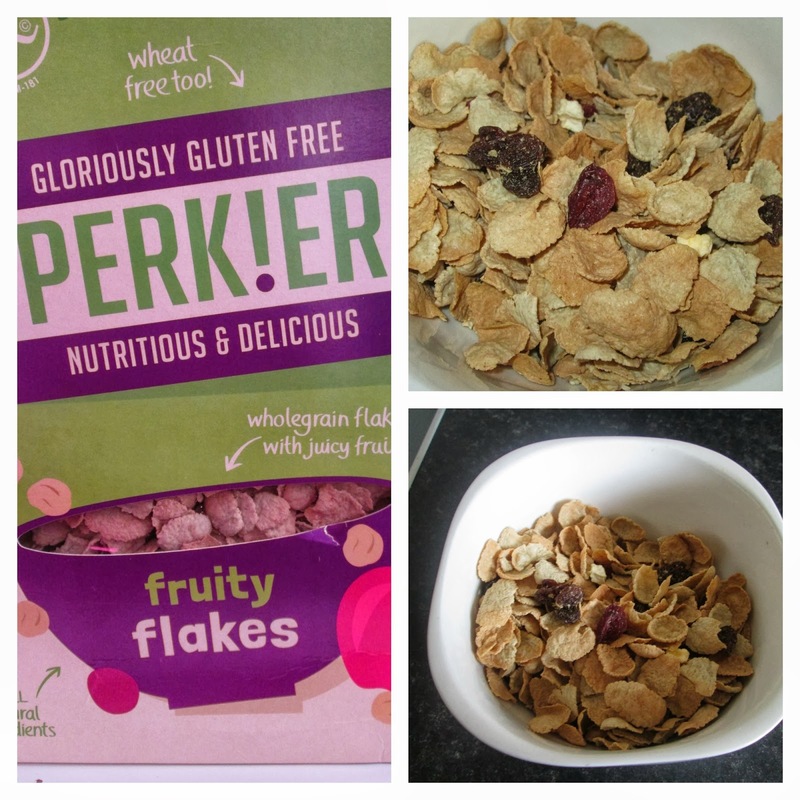 Perk!er was established in 2012 by Ann Perkins and her partner Steve Turner, After Ann was diagnosed with Coeliac disease in 2009, Ann started to feel much better after following a strict Gluten free diet but was disappointed by the products available to her, So with a strong career in the food industry she quit her job and together with her partner Steve they started to see what they could do to bring delight to gluten free eating. 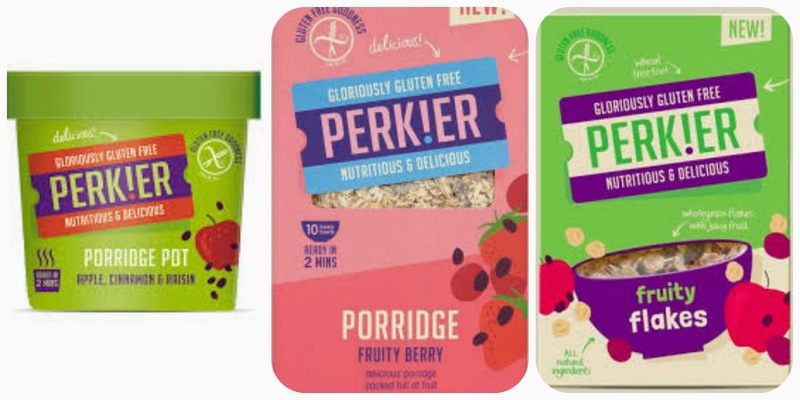 Perk!er are on a mission to bring delight to gluten free eating and with an estimated 630,000 people in the UK living with Coeliac disease the timing could not be better than to introduce this fabulous new range of products! I was sent three products from the fantastic Perkier range to try. 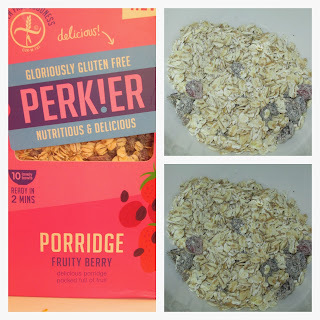 Perk!er porridge pot apple cinnamon and raisin, Perk!er porridge fruity berry Porridge in the box and Perkier fruit flakes. As you can see the packaging is very bright it stands out form the crowd it looks fun and its not boring as most people would probably associate when they hear "gluten free" each product is very well labelled, with what the products contain. 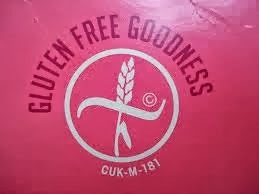 All the products are clearly labelled with the cross grain symbol which shows that the they are all suitable for a gluten free diet. First up I tried the apple, cinnamon and raisin porridge. 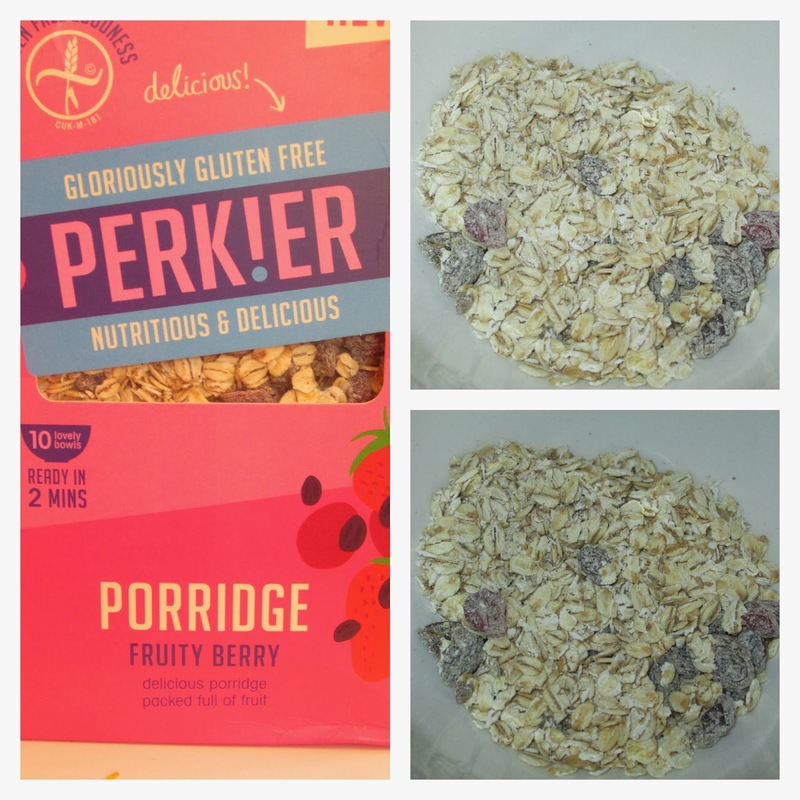 Both porridge's I have been sent are made using gluten free oats they are high in fibre, low in fat and have no added sugar. 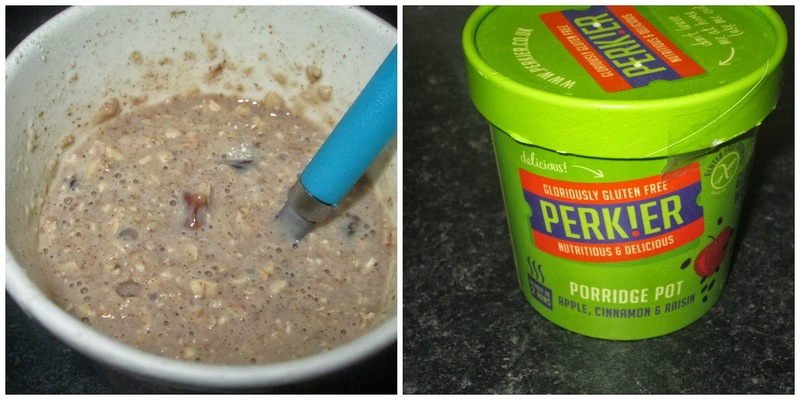 The pots are ideal for when your on the move, to eat at work or at home when you need a quick breakfast or snack. The instructions are very simple all you need is boiling water and the pot has a fill line, so I filled up the pot with water to the fill line and popped the lid back on waited two minutes and gave it a stir. The first thing I noticed was the aroma, it was really mouth-watering, sweet and you could really smell the apples and cinnamon it was a very inviting. Next to taste it. I liked that it had raisin in the porridge, there was a distinct taste of apples you could also taste the cinnamon the texture was quite thick and creamy, but it tasted quite delicious it was naturally sweet and wasn't to heavy quite a filling little pot and Adam absolutely loved it to so it was a big hit all round. Next up I tried the the fruity berry from the box, now with this you add four spoons full to a bowl, then add your milk and put it in the microwave for two an a half minutes, I must admit the aroma from this delight filled my kitchen with the fruitiest smell, it was far too hot to eat when it came out but I was excited to try it. 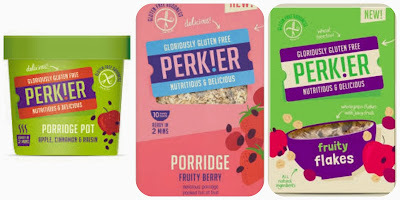 I thought that the apple porridge one was lush but this sets your taste buds on fire it is naturally sweet, a luxurious fruity taste and very creamy Its hard to believe it is a gluten free product, I must admit I savoured every mouthful it was yummy. Last but not least the I tried the fruity flakes. These are made from organic brown rice and organic buckwheat they contain less than three percent fat and are high in fibre. They are a perfect start to any day there is plenty of fruit scattered between the flakes in the forms of cranberry apples and raisins they are deliciously crunchy, not to sweet as they're sweetened ever so slightly with brown rice syrup and organic cane sugar. Over all I thought the products were great I would definitely consider buying these products in the future, I love that they are packed full of flavour yet are are very healthy and keep you full until lunch. 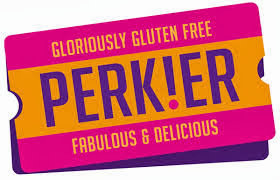 All of the Perk!er product range are gluten free and many products are free from other allergens as well. To find out more and to see the Perk!er full range of products why not pop over to there website http://www.perkier.co.uk where there are also recipe ideas news and lots more information about these fantastic products. I was sent these delicious Perk!er products for the purpose of this review all opinions expressed are my own.